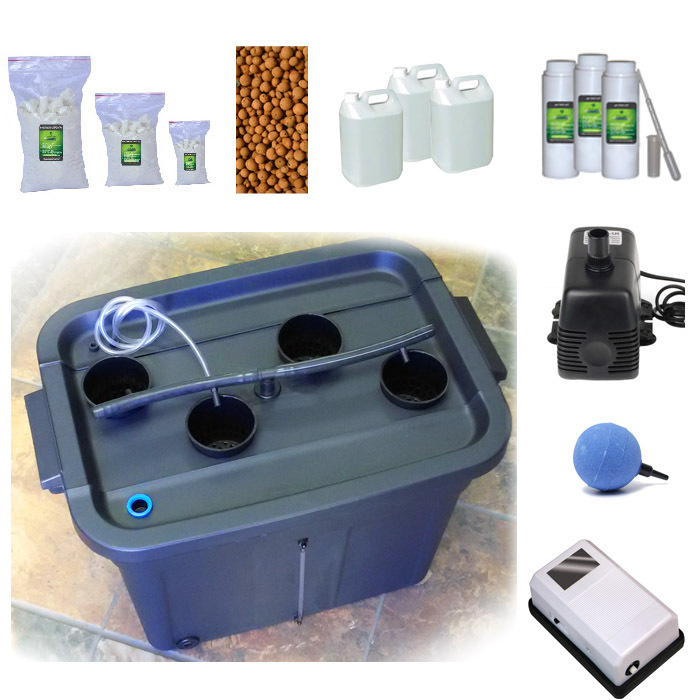 The Mini DWC Starter Kit (Deep Water Culture) is a compact hydroponic system that can be used indoors or outdoors. Simple to setup and use. 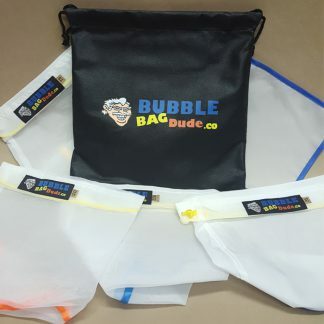 Perfect for first time growers or hobbyists. 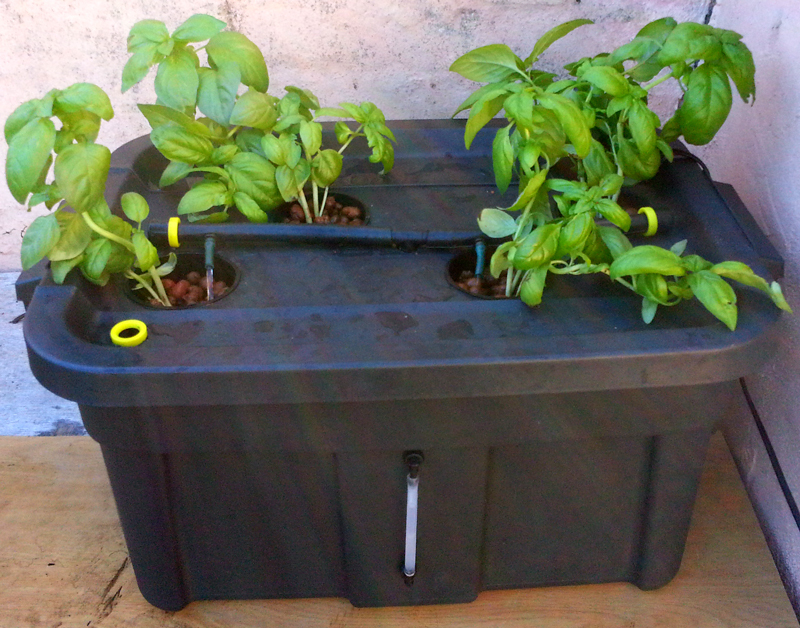 Space for 4 plants. 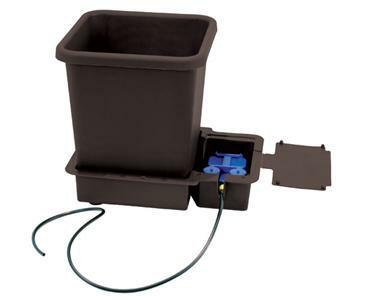 Unlike other DWC systems, the Mini DWC provides nutrients at the root zone by pumping water from the reservoir into the pots and also provides circulation within the reservoir. 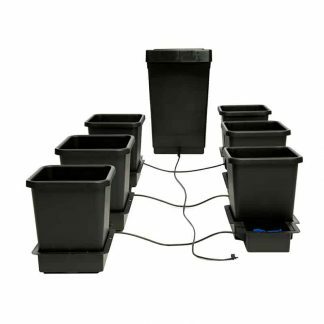 This allows you to plant seedlings directly into the system and cut propagation time by up to 3 weeks.